It’s no surprise that a Girl Scout develops financial literacy and business skills running her cookie business and hones so many skills earning badges in STEM and the outdoors. It’s all about setting her up for a lifetime of leadership! But a Girl Scout is also courageous and strong, and that can help her pick up a lot of unexpected skills as well. We asked what was the most unexpected skill you learned as a Girl Scout, and the answers did not disappoint! 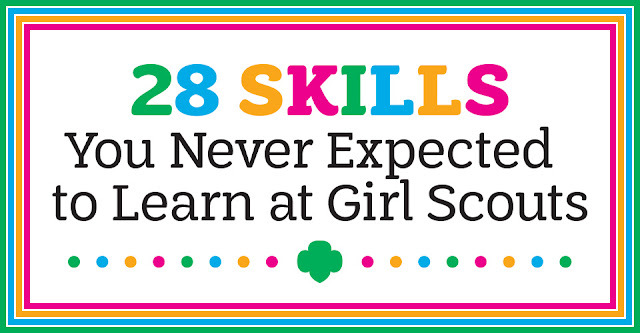 She can discover all of this and so much more at Girl Scouts. The inclusive, all-female environment of a Girl Scout troop creates a safe space where girls can try new things, develop a range of skills, take on leadership roles, and just be themselves. From finding her passion to finding her career, her best friends, and her voice—there are so many possibilities. Join Girl Scouts today.